Last Sunday, 23 April, something happened that set endorphins inside my head fizzing like a freshly opened can of Coca-Cola. My wife and I had been invited to see Dream Theater at London’s Hammersmith Odeon (now cleaned up and rebranded), a venue so familiar to me that I could find my way around with both eyes closed. The occasion was to celebrate the 25th anniversary of the band’s magnum opus ‘Images And Words’, a record that changed their lives, my life and the lives of most of the 4,000 sold out audience. 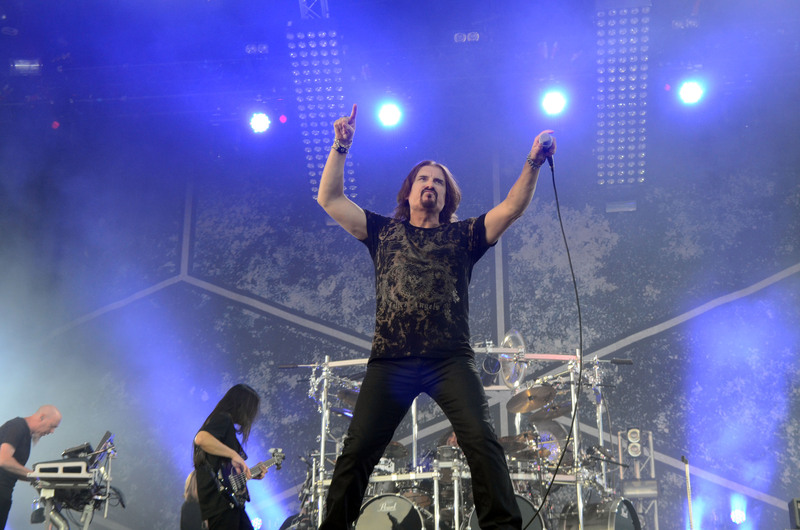 Half way through the performance front man James LaBrie addressed the crowd for a minute or two. I could hardly believe my ears when suddenly he asked for the spotlight to be turned on me, sitting in the audience, while asking me to stand up for a round of applause. James explained that I’d helped the band navigate the dark alleys of the music business after signing Dream Theater to Atco Records back when I was an A&R man. Wow! I’d really like to say thanks to James and the rest of the band, who took the opportunity to salute an old school soldier such as myself. I’ve worked with plenty of artists as an A&R man and you don’t often find them handing out gratitude. This DT Hammersmith show proved that, despite the mountain they had to climb back in ‘92, DT smashed through musical barriers to carve out an impressive career that has allowed them to tour the world, play to sell out crowds and to this day record and release records that really mean something to people. But last Sunday night belonged to ‘Images And Words’, a record that defines progressive metal. This is the first tour where the band has played the album in its entirety and it was a privilege to be there. After experiencing this surreal shout-out and an extraordinary show I left the building a happy man, knowing that at least I can spot real talent, even if I can’t play a note of music myself. It was truly a heart-warming occasion and one that I will dine out on for years to come.